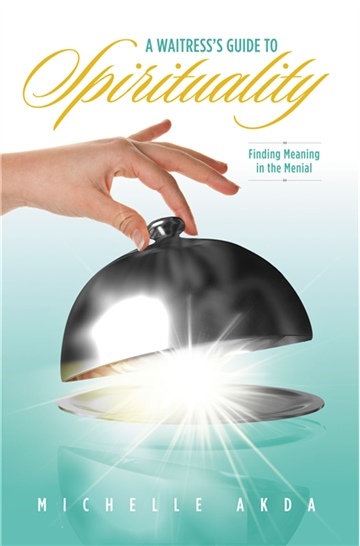 This book is about finding meaning and Spirit in your life regardless of your job title! Michelle Akda has been a waitress for over 20 years. She has also been on a Spiritual journey through study, travel, books and some wonderful mentors. She has attained her Master's in Clinical Psychology and is a certified Transformational Life Coach. This book is Michelle's journey in finding her own Spirit as she has traversed the sometimes frustrating terrain of being a waitress. Dealing with tough customers, getting stiffed on tips, managing other people's energy without losing yourself are all ideas this book touches on. And though it is told from the perspective of a waitress, anyone in ANY job can relate to the same difficulties! Michelle's experience has provided her insight both inside and outside of the restaurant industry that can help the reader find their Spirit and live their best life no matter what it is they are doing. This book also helps the reader with their THINKING as thoughts create reality. With a book filled with tricks, tips and Spiritual tools to get through the day, the reader realizes that even if they are working a job that is not their highest calling, they can still find their Spirit and create meaning in their lives. Because at the end of the day it is about who we are BEING, not what we are DOING! Michelle is able in this short guide, to remind the readers who they really ARE...Spiritual beings having a human experience!! Who you are and what you will become should never be separate. waitress, lessons which can have a huge impact on all of our lives. anything you will hear from a great teacher in a pulpit.